Not having any direct heirs might seem like an easy out when it comes to estate planning, but skipping over this process could be a big mistake. 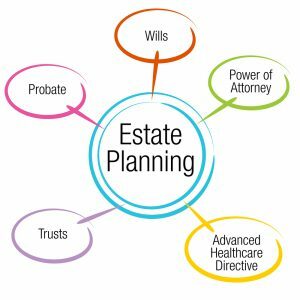 Make sure you’ve taken the opportunity to sit down with an experienced estate planning lawyer to talk through all the options. You may be able to make use of assets inside your estate to benefit charities or others, but talking with a lawyer can help you understand your choices. Most people assume that if they don’t have a substantial amount in savings then they don’t need to worry about estate planning. What about your 401(k)? Or your life insurance policy? These items may already be in place but could require that you name someone to get these benefits when you pass away. These items pass away outside of your typical estate plan, so you need to have an awareness about who you name as beneficiary and whether that will change over time. The right estate planning attorney can tell you more about philanthropic options if you wish to get involved in giving some of your assets to charity. Setting up plans in advance allows you to leave as much as possible to your other loved ones if you wish or to a charity. Without planning, the courts will take matters into their discretion when deciding what happens to your belongings and assets after you pass away. Even if you think you don’t have any heirs, you probably still want to exercise some control over your estate plan. Don’t wait to find out how you can pass on assets and gifts to others while you’re still alive or after you pass away.